Tuesday Night Fat Bike Rides. Intermediate Plus, these rides are fast paced and challenging. They are a great way to push yourself throughout the winter! Saturdays join us for Beginner Fat Bike Rides at 2pm. These are no-drop rides focussed on having fun and getting comfortable navigating the North Branch Trails which are right in our backyard! Whether you are just beginning, or you are experienced and looking for a fun weekend ride, this one’s for you! Thank you to everyone who came out and made this year’s Dam Wrightsville Cyclocross Race such an incredible time! From the Cat 1/2/3 Men to the kids race it was wonderful to see so many people out on bikes and racing at the Wrightsville Resevoir. There were plenty of hand-ups, run-ups, spiraling to make it a great time. Thank you of course to our awesome sponsors, Smith Optics, Niner, Specialized, and Red Hen. Also a massive thank you to everyone who took pictures during the race - be sure to click through the link below, there are some pretty wonderful moments captured. Most importantly thank you to all of you who came and raced, supported and volunteered, already planning for next year! Some of the most impressive costumes yet! Yes it was rainy, and yes it was cold, but yes it was also a blast! From the Incredibles twins, to the Mad Hatter and Batman, what a race it was! 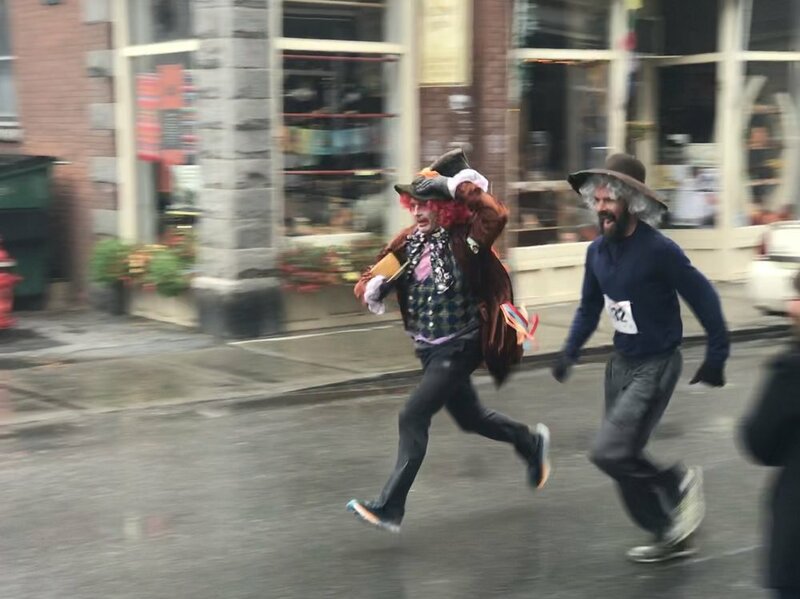 Thank you to everyone at Central Vermont Runners for joining us for the most entertaining 5K of the year! It has been a fantastic fall of women’s mountain bike clinics so far! This session we have two separate clinics running, one for beginners and one for more intermediate riders. 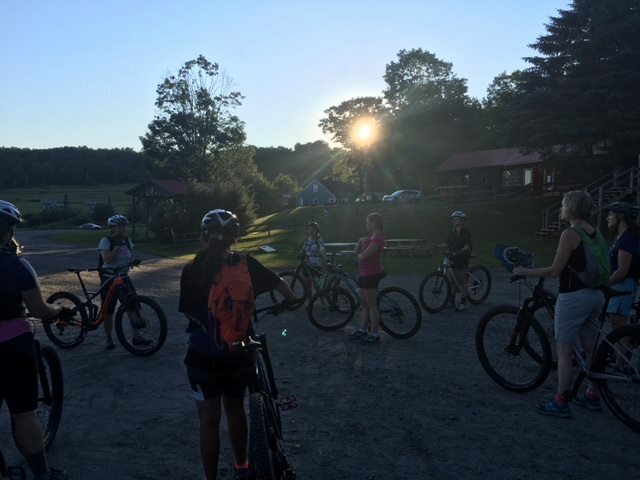 We have ridden at Blueberry Lake, the Calais Trails, and spent an entire evening demo-ing Niners at the Trap Family Lodge in Stowe. If you missed this session keeps your eyes peeled in the spring when out women’s mountain bike clinics return once again! A full day of fun on the Wrightsville Trails! Thanks to everyone who came out to cruise through the woods, hop off ramps on the obstacle course, and ride the trails out to the point! We had a blast leading rides for kids of every level (and parents, of course). If you’re looking for more ways to get the whole family out on bikes (or skis in the colder months), stop by or give us a call to find out about our easy rentals! We rent bikes, skis, and ice skates for the whole family at affordable prices! We also offer Nordic Junior Season Lease Packages for the winter! Starting at just $95 this is definitely the most economical way to get the whole family out in the snow! Featuring Patagonia's "Blue Heart" and Ben Page's "The Frozen Road", the first ORO movie night was a success! Fantastic weather brought a good crowd out to the parking lot, lawn chairs in tow. The event raised more than $250 for Friends of the Winooski River, who conduct water testing and other programs on our lovely river. Keep an eye out for our next Parking Lot Cinema coming up September 7th, featuring "Moment", a film documenting the origins of freeride mountain biking in the backwoods of British Columbia - it's going to be a good one. The crew has been crushing it! Our first round of Women's Beginner Mountain Bike Clinics is wrapping up and the skill progression is visible. In the clinics women learn a whole slew of skills including cornering techniques, how to roll cleanly over objects, and how to maintain confidence and balance on your bike. In addition to on-trail skills the group learned bike maintenance and basic repairs from our experienced mechanics so they can keep their wheels rolling long after the sessoin ends. Follow the link below to sign up for Round 2 of the clinic starting September 5th. The ORO Crew headed down to Mt. Ascutney on July 27th for the always wonderful Vermont Mountain Bike Festival. Demos from Niner and Specialized were rolling out in the sunshine all day (except for that quick 20 minute torrential downpour...). Caroline led a massive ladies ride all morning covering most of the trails Asctuney had to offer with a group of women from all over New England. Hats of to STAB (Sports Trails of the Ascutney Basin) for the incredible trails and to everyone from VMBA for such an incredible event. Nothing like seeing so many people on bikes all in the same place! The first 4th of July Celebration as Onion River Outdoors did not disappoint. With a massive crowd (stretching all the way down Main Str eet at one point...oops), we rolled through town making plenty of noise and giving out plenty of high fives. Thank you to all those who came out to join us in the annual fun that is the Montpelier 3rd of July parade! The annual New England Mountain Bike Festival at Kingdom trails seems to get bigger and better every year! This year ORO headed down to lead rides and show people from all over New England, Canada and beyond the incredible trails Vermont's Northeast Kingdom has to offer. Kip led kids rides exploring the fun and flowy trails that surround the festival center. He also led some longer more adventurous rides giving people a real tour of the area, which by Saturday was nice and tacky thanks to some wet weather on Friday. Caroline led a couple properly names "intermellow" rides, as well as a more advanced ride that headed to some of the new trails being built at Kingdom Trails. There was a black bear sighting or two. It was an incredible weekend with epic bikes and great folks. Incredible weather and a great new route brought one of the largest turnouts ever to the Muddy Onion! There was incredible food, plenty of sunshine, dirt roads, and of course beer. The party kept going through the afternoon after the final people had returned from the ride. As always we have to extend a massive thank you to not only the riders (who helped us raise $3,000 for MAMBA), but to our awesome sponsors that continue to make this event possible - Harpoon Brewery, The Alchemist, Darn Tough VT Socks, Red Hen Backing Co, Misty Knoll Farm, Earth Sky Time Community Farm, Smith Optics, Cold Hollow Cider Mill, Three Penny Taproom, Woodbury Meadows Camground, UnTapped, and many more community supporters! 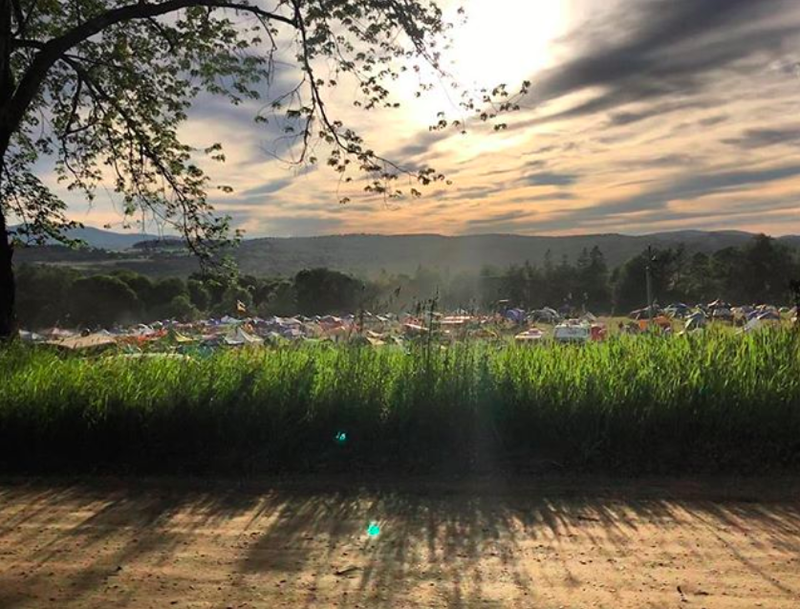 Hopefully we will see you next year at the '19 Muddy Onion, follow the link below to sign up now and get the best price!